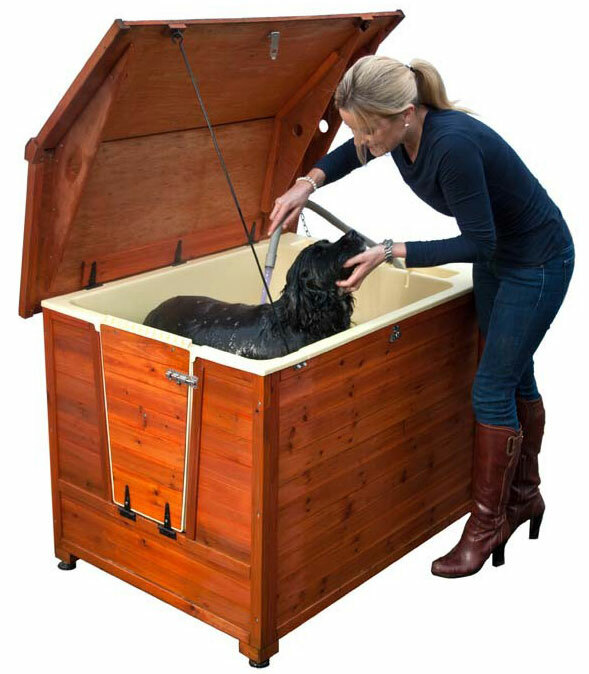 DoggyShouse Grooming Kennel: 45" x 38" x 35"
* With the Dog House and Shower "Doggy Shouse" your dog will feel comfortable being washed in its own home, eliminating any stress of bath time for your pet and of course messy bathrooms. 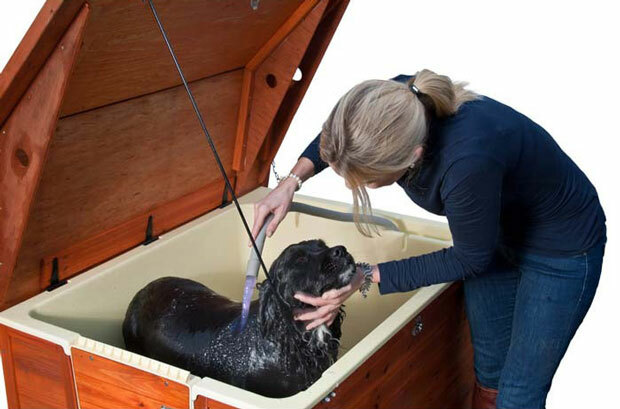 * The amazing Dog House and Shower helps keep your dog and its environment clean and hygienic. 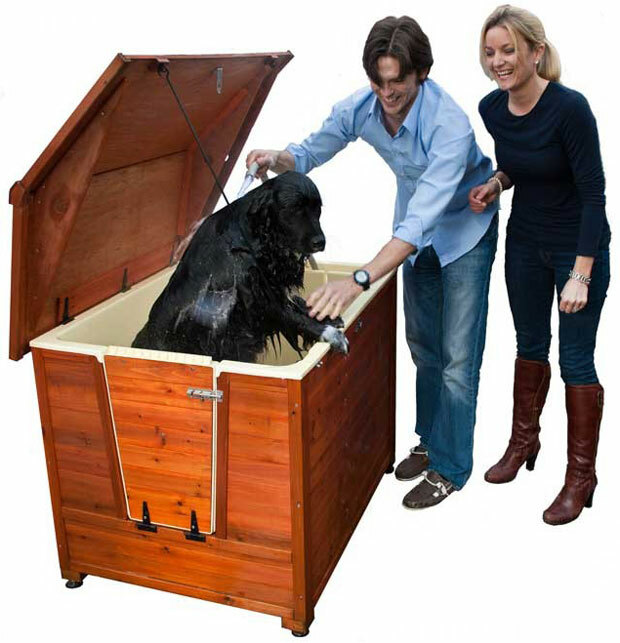 * Not only will your dog be smelling clean and fresh, so will your dogs house. 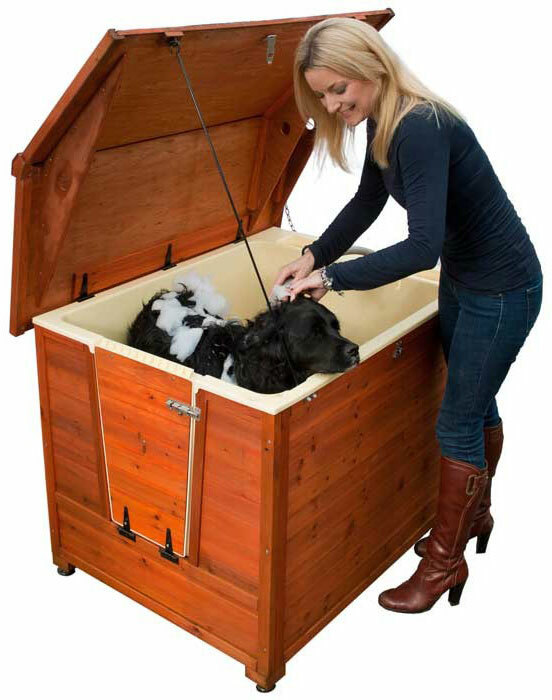 * Gone are the days of your freshly cleaned dog returning to a dirty dog house. 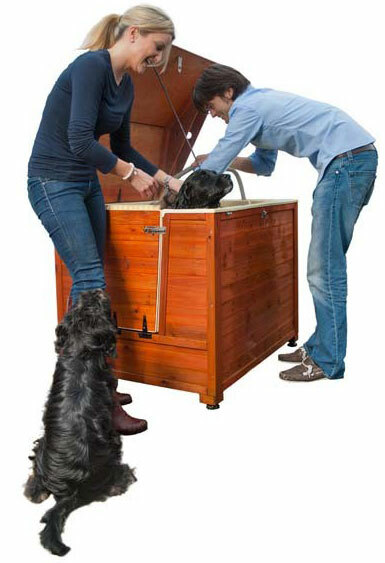 * With the Doggy Shouse your dogs home is also cleaned automatically as you clean your dog. * The Doggy Shouse recycles water. * 'I wash my dog with only one bucket of water using the Doggy Shouse, this is not only great for the environment but much less work for me. 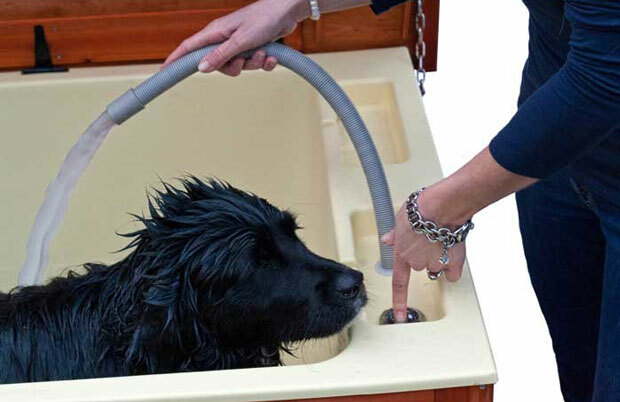 * The shower technology recycles water through an internal pump which circulates the water around the Doggy Shouse bath. 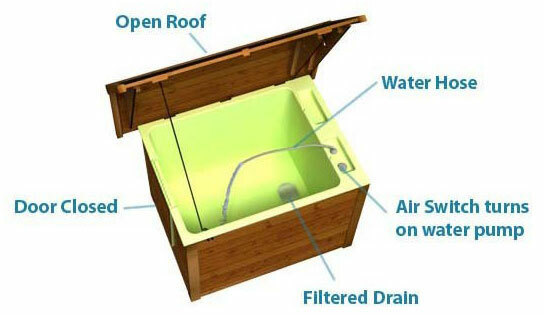 * When finished the Shouse offers an easy and effective drainage system. 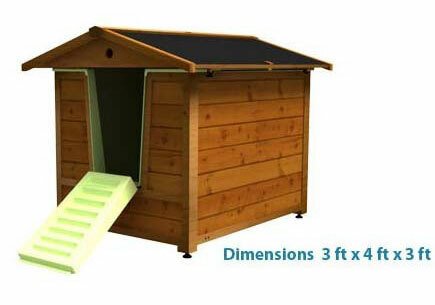 * The amazing Doggy Shouse comes with its own shower and plumbing. 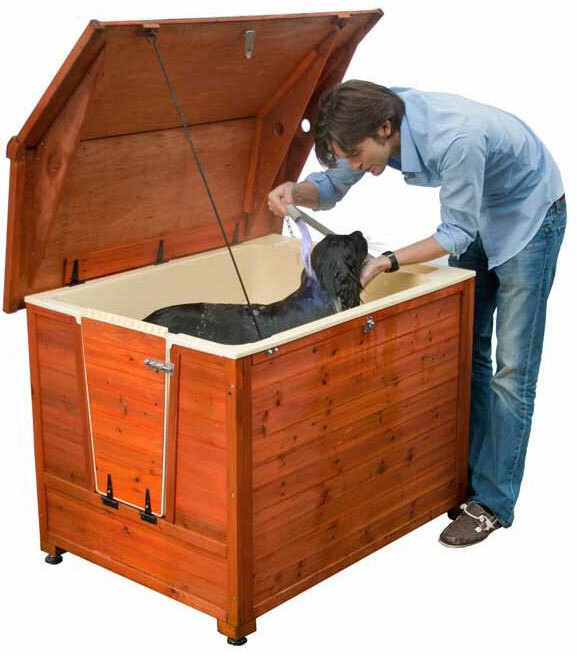 * The Grooming Kennel is a simple idea that combines both a kennel and wash bath for your pet. Drop the ramp, dry the tub, re-insert the bedding and close the lid.